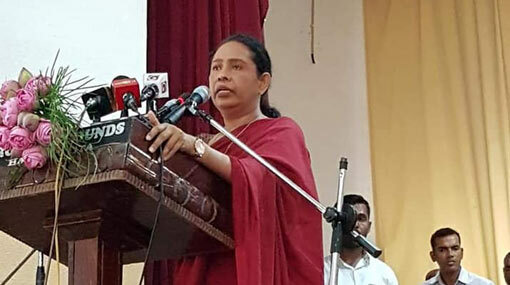 Parliamentarian Pavithra Wanniarachchi says that the United National Party (UNP) does not support holding provincial council election in fear of defeat. Knowing their inevitable defeat at the elections is also UNP facing a natural death, she stated. She mentioned this attending a party event of Sri Lanka Podujana Peramuna (SLPP) held in Mulkirigala. She points out that there are no projects that had commenced and completed within the ruling period of the current government. The only economic policy of the UNP led government is taxation of the people, says Wanniarachchi. Commenting at the event, UPFA MP D.V. Chanka question how a government which couldn’t provide employment for graduates, find employment for those just have passed the Ordinary Level exam.